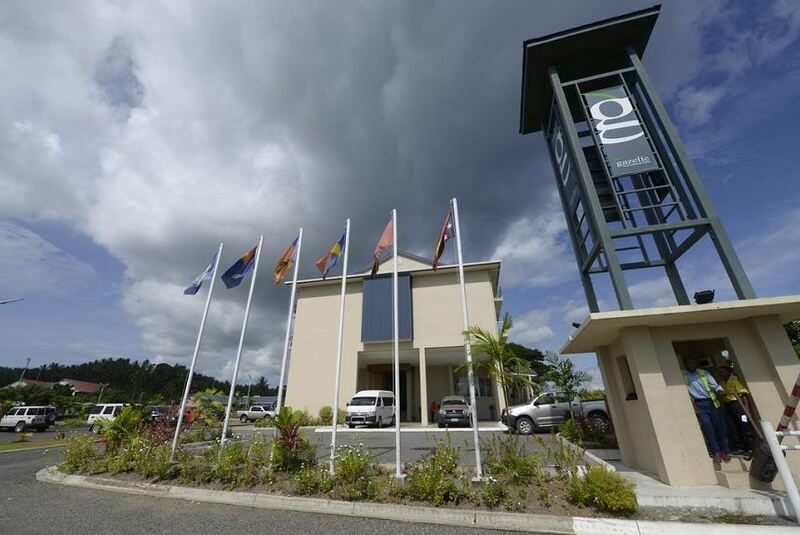 Gazelle International Hotel provides outstanding accommodation, dining, entertainment and conferencing in East New Britain Province, Papua New Guinea’s tourism Hub. From its commanding location above the Ralum Golf Course there are stunning views of Blanche Bay, the Duke of York Islands, New Ireland and the active volcano Tavurvur, one of three active volcanoes in East New Britain. The Hotel has historical significance as it is built on the original site of the residence of Queen Emma of the South Seas a theme carried throughout our Hotel.